Welcome to the third part in our series looking at Google Penalties. In the first post we looked at the different types of manual penalties out there and then took a quick look at the issues behind getting penalised by Google’s algorithm updates. In the second post we looked specifically at the unnatural link related manual penalties and explored how to identify bad links using Google Webmaster Tools’ link report and other third party resources. In early 2014, during one of his Google Webmasters videos on YouTube, Matt Cutts said “Google currently initiates more than 400,000 manual penalties every month and processes some 20,000 reconsideration requests in the same period” This means that some 95% of the 400,000 websites penalised every month either (a) aren’t bothering to do anything to address the problem or (b) haven’t realised they’ve been penalised in the first place. 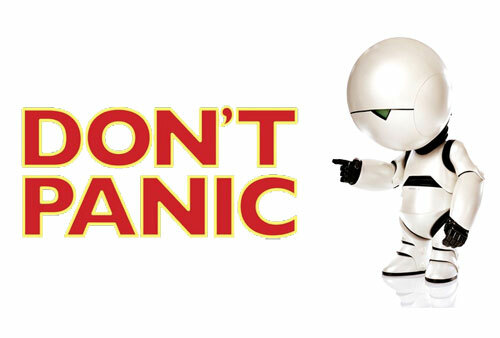 If you find yourself in the 5% of sites that have been penalised and want to rectify the situation, then the most important thing to remember is don’t panic. All is not lost. This article from Search Engine Watch lists the ‘five stages of Google Grief’ as well as five steps to recovery and is well worth a read. It’s also worth remembering that there have been some very high profile cases of big companies being hit by manual penalties, so rest assured you’re certainly not alone in your predicament. So you’ve identified the bad links and made a list of them. But what next? How do you go about getting all those links taken down? The most important thing to remember during this process, is to document everything you are doing. Not only will Google want to see evidence that you have tried to get as many bad links taken down as you can, but by properly documenting your work you can also keep track of exactly where you are in this process. It’s best to use a Google Docs file to do this as it is the most natural way of submitting a reconsideration request to Google. If you prefer, you can use an Excel spreadsheet and paste in the data to your Google Docs file at a later date. Most of these fields in your spreadsheet should speak for themselves. With regard to the contact method it might be worth adding several columns here and numbering them (Contact Method 2, Contact Method 3, etc). If you can’t get hold of the webmaster or blog owner by email or contact form, then you can include other methods of contact you tried (like Facebook, LinkedIn or Google+). Along with a list of contacted sites you should include with your documentation examples of emails sent and responses received, as well as screenshots of attempts at contact on social media. The more evidence you can include, the better (within reason). Now comes the frustrating bit. Contacting webmasters to get bad links taken down can be a chore, especially when you get no response. There are a few things to remember when doing this. This might seem like an obvious one but it’s important to not vent your frustrations on the webmasters you are trying to get to take your links down. They’re doing you a favour at the end of the day and even though most webmasters will appreciate that you may eventually be forced to disavow any link from their domain using Google’s Disavow Tool, some of them may be far less helpful if you are rude. If you established a dialogue before the link went up then be friendly and cordial in your approach. If your old SEO or digital marketing company put the link up then say so, but don’t get into a blame game. Again, this might seem obvious but you really need to be as explicit as you can with what you want the webmaster to do. Leave no room for ambiguity or confusion. Tell them you want the link taken down or made a no-follow, depending on your preference. Make sure you list all the links you want taken down, including the anchor text of each and its target URL. Make sure you include the full URL of the article containing the links as well. Many webmasters won’t have the time to go trawling through months’ worth of previous blog posts trying to find your article so always make sure you give them the link and make their task as simple as possible. Many people have fallen foul of this and it’s the quickest way to get your emails deleted. You need to make sure that each email you send requests removal of all the offending links on that webmaster’s domain. By conducting a thorough link audit beforehand and then sorting your data accordingly by root domain this shouldn’t happen. Below is an example of a simple but clear and concise link removal request. I am looking to have a link removed from [Home Page URL]. The post was written by [name of author if known] and was published on 20th July 2014. The URL of the article in question is [Article Page URL] and the link I would like to get removed is to [Target Link URL] using the anchor text “[Anchor Text Used]”. If you can confirm that you are happy to remove the link from the post or 404 the article page I would be very grateful. If there are multiple articles on the domain then list them and the offending links in each. Be as clear as possible. Bullet lists make things a lot clearer but are unnecessary if you’re only trying to get one link removed. On occasion you may not be able to find any contact email or contact form on the website in question, in which case you can try and find contact information using a whois lookup. This may reveal an email address, it may not, but it’s a good port of call before you start looking at other means of contact like Facebook or Google+. With some sites, like spammy directories, you will just have to accept that there is no route available to contact them. This isn’t the case for, all but certainly a lot of them. If there is no realistic means of contact with a site, make a note of this and move on. Don’t spend hours fruitlessly trying to remove a single link. Likewise many of the old low quality directories now charge for link removal, a $5 payment via PayPal is requested as an admin fee in most cases. I would not recommend paying any site to remove a link. Again make a note of their charge and move on. Ok, so your email’s sent items is full up with link removal requests and you’ve managed to get most of the offending links taken down by contacting the various webmasters. It’s likely at this stage that you might have a few ‘no response’ entries in your documentation. As a rule I think three attempts at contacting a webmaster is more than sufficient to satisfy Google that you have tried your best to get the links removed. Be sure to wait at least a week between each request however and to exhaust all the avenues of communication you have available to you (ie Facebook page, Google + account). If you’re still getting nothing back but silence after the fourth week then it’s time to think about disavowing these links. I’ll be covering Google’s Disavow Tool in much more detail in a future post but I will say now that this should only be used as a last resort when you can’t get any response from a webmaster. For more information, start by reading Google’s guidelines on the practice of disavowing links. In my next post I’ll be looking at the essentials of drafting your reconsideration request to Google.